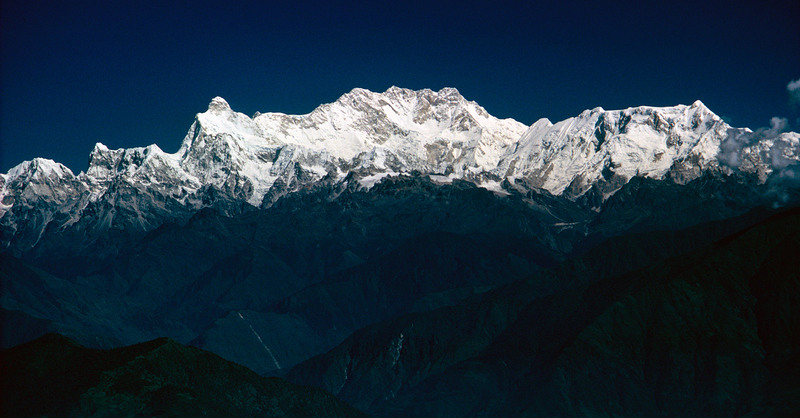 My first view of the Kangchendzonga massif, from the crest of the Milke Danda ridge. In 1988 Rex Munro and I made a 40 day trek across eastern Nepal, starting at the airstrip at Tumlingtar. After Makalu base camp we headed east via Chainpur and the Milke Danda to Taplejung. This picture was taken from the Milke Danda near Chauki.